HEXUS competitions are coming thick and fast! 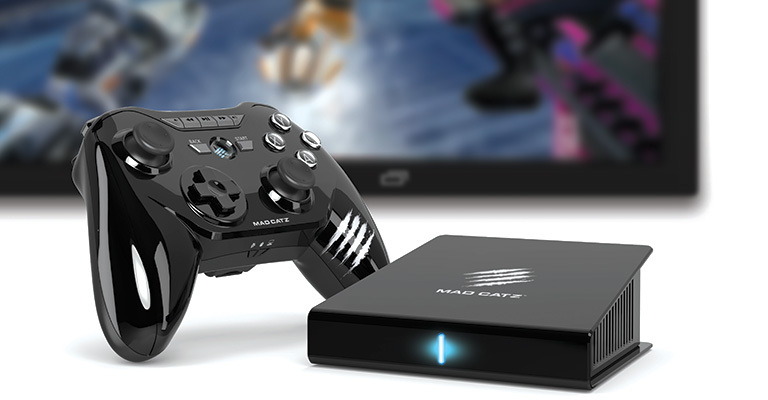 Today, we're giving all our readers the chance to win a brand-new Mad Catz M.O.J.O. Micro-Console for Android worth £220! Harnessing the power of Nvidia's Tegra 4 mobile processor, M.O.J.O. is a mini box that packs a mega punch! Now you can play all your favourite mobile games like never before — in all the glory of 1080p HD! M.O.J.O. takes Android games, movies and music from the touchscreen to the big screen. The wide-open platform gives you the freedom to choose from thousands of titles at Google Play, TegraZone, Amazon and other storefronts — with no rebuying. Ever. Welcome to mobile gaming beyond rules. It's Android for the big screen, so if you want to crush candy and fling birds like never before, answer the following question to enter our latest epic competition. And don't forget, you can also claim a free second entry via Facebook! Hint: In case you missed it, you can find the correct answer at MadCatz.com/MOJO. The competition winner will be picked at random from all eligible entries that arrive by midnight of the closing date, December 23, 2013. The winners will be notified via email by January 3, 2014. The winner must claim their prize within 7 days of the promoter sending notification. If the prize is unclaimed after this time, HEXUS reserves the right to offer the unclaimed prize to a substitute winner selected in accordance with these rules. 38 QOTW: Which smartphone games are worth playing? Very intriguing. Not something i know much about, but a win would be great.